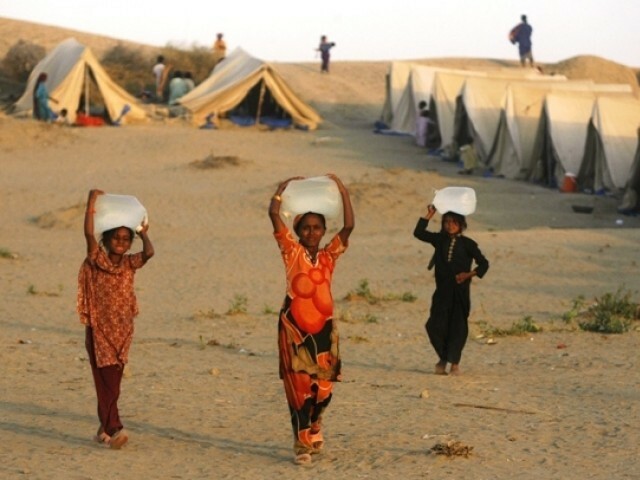 The health, hygiene and sanitation situation in Sindh is desperate. It has become clear that the state of Sindh’s health is desperate. There is an acute shortage of vaccines, trained paramedical staff including lady health workers. Multi-national pharmaceutical companies are almost inconspicuous in their absence on any visible scale. They are not seen offering any organized flood relief effort. The medicines given for charity maybe in the form of small donations in an individual capacity. Due to lack of clean drinking water, the most vulnerable will be children and women. But as someone who has visited the rural areas pf Sindh (Kaccha, Bela and other rural areas) for the past 40 years I feel the need for medical help was just as desperate 30 years back as it was when the devastating floods came. This shows that the health department in Sindh is useless as the education department. This is due to the meager health budget, the callous attitude of the doctors and paramedical staff. The floods seems like God’s signal, not for revolution but for social change in Sindh. 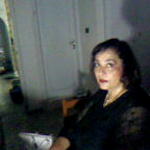 The attitudes and behavior of the waderas and elite of Sindh have to change. The middle class and the agriculture worker have to be given a better chance for economic and social uplift. There has to be a compulsory shift to community behavior in both urban and rural Sindh. In this crisis, even big and prosperous towns like Khairpur Nathan Shah remained unhelped due to the absolute incompetence and lack of understanding of leadership like Mr. Imran Leghari, the young MPA who is a prime representative of the useless male, elitist polity of Sindh. The female MPAs are better, like Humera Alwani, at least they are trying to help and learn. An NGO worker explained the attitude of DCO Dadu to me. He was denied the team accommodation and initial security to start their work in humanitarian assistance and told them off stating “we are being affected by floods and you are asking help?” Imagine this height of callousness and ignorance. Later, this NGO chose to work in district Shikarpur where the DCO, was a doctor and was welcoming and cooperative. He understood the need for humanitarian help and assistance. In another instance the hundred food hampers that were purchased by an NGO in Shikarpur locally were attacked and looted by dacoits and were later found in the warehouse of the same wadera who had helped in the initial purchase. Just by change of behavior can the needs be satisfied and Sindh helped. It is high time that we pursue our targets for Millennium Development Goals and improve the health, education and economic life of our people. We need to set these goals in a persistent, new humanitarian perspective. The elite of Sindh must change. It must let the middle class develop or Sindh will definitely perish. There is no room left downhill. A blog on development, health and human rights. The only way to resolve the majority of the problems of the rural sindh is through land reform,this change can only be forced by the goverment, is not going to come volountarly by the sindhi elite but unfortunatly both the national and provincial parliments are full of land lords so……. Very insightful and good article. This issue needs to be addressed more frequently. Interior sindh is ignored in development because of two things… one is the elites and second Karachi. Karachi in my view should be separated from Sindh now. It is very important to have smaller states in order not to get regions neglected. Once that happens it would be easier to address and counter problems in there. Excellent article. The comment of @The Only Normal Person Here is spot on. The type of change you advocate requires a truly visionary leader, a reformer, a selfless human being preferably a Sindhi – this is like asking for the moon. In Pakistan the school that would produce such leaders has not been built.